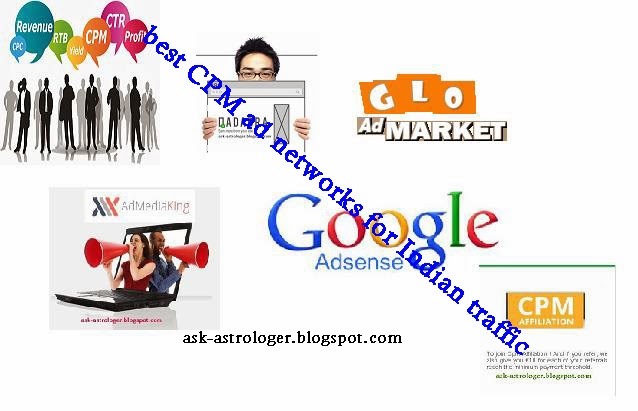 Best CPM ad networks for Indian traffic and international sites. 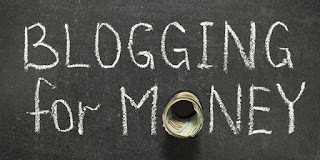 In my previous article i have already listed best CPM sites for all traffic. here are the best CPM sites for Indian traffic. The eCPM rates will be on lower side. Glo ad market is one of the best CPM ad network for Indian and international traffic to earn good amount of revenue the eCPM rates ranges from $ 0.18- $0.24. Bidvertiser is also one of the good CPM ad network to earn fair amount of money from your site. The eCPM rates for Indian traffic ranges from $ 0.11- $0.20. Admediaking is also one of the best CPM ad network for indian traffic to earn good amount of money. the eCPM rates ranges from $ 0.04- $0.09. Adversal is the #1 CPM ad network for Indian and international traffic. The eCPM rates ranges from $0.15- $0.22 from ministials and banner ads. CPMaffliation is also one of the CPM ad network the eCPM rates ranges from $0.08- $0.10.